Just as essential dignity signifies strength and a capacity for beneficial action, lack of it implies weakness or a harmful disposition. A planet with no essential dignity is called Peregrine, a Latin word meaning 'alien' or 'foreigner' (pereger = beyond the borders, ager = land, i.e., 'beyond one's own land'). In old English, to 'peregrinate' means to wander far from home. In symbolic terms, a peregrine planet describes a drifter - someone with no title or stake in his or her environment. Though it's helpful to think in terms of property, the comparison lends itself to the general tenor of the chart. If the peregrine planet represents a job offer, for example, it may suggest that there is little status attached to the job, or that there will be a poor sense of personal attachment to the position. Under normal circumstances a peregrine planet lacks the necessary strength to convey lasting benefit. Its position of weakness can be alleviated, however, if it is strongly dignified accidentally or if it forms a mutual reception with a stronger planet. If a planet is situated in a sign which opposes its own it is said to be in detriment, a word which literally means to be harmed or damaged. Since a planet's own sign is regarded as its stronghold, it follows that the furthest sign from this should be viewed as its most vulnerable position. Similarly, just as signs of exaltation are said to elevate the planetary influences to their highest level, their opposing signs are known as signs of fall, because here the planets suffer loss of strength and a reduction of potency. A planet in detriment or fall is in a precarious condition, more so if it is peregrine or otherwise afflicted. In horary the use of this symbolism is often remarkably literal and can be used to describe someone who has 'fallen' from grace or is incapable of maneuvering a situation to their advantage. In charts drawn to find a missing object, for example, a significator in detriment may suggest the object has been damaged; in its sign of fall it may have physically fallen to the floor. To have many planets debilitated in this way in a nativity is considered a sign of obscurity and low birth. Firmicus described such a person as: wretched, poor, low of birth and constantly plagued by had luck (Mathesis, 2.3.3). As well as considering a planet's own dignity or debility, it is wise to note how a planet 'responds' to another sign from which it receives an aspect. "Be not too confident either of a sextile or trine Aspect in violent Signs, nor out of those Signs in which the Planets behold one another, yet essentially suffer" -	warned William Lilly in his Astrological Aphorisms for Young Students. Thus, Venus in Capricorn benefits more from a trine from a planet in Taurus than one in Virgo, since the aspect from Taurus associates Venus with her sign of dominion while the trine from Virgo links her to her sign of fall. 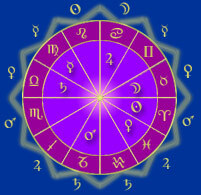 The next section explains Lilly's table to calculate dignity or debility by numerical score - by use of an example horary.